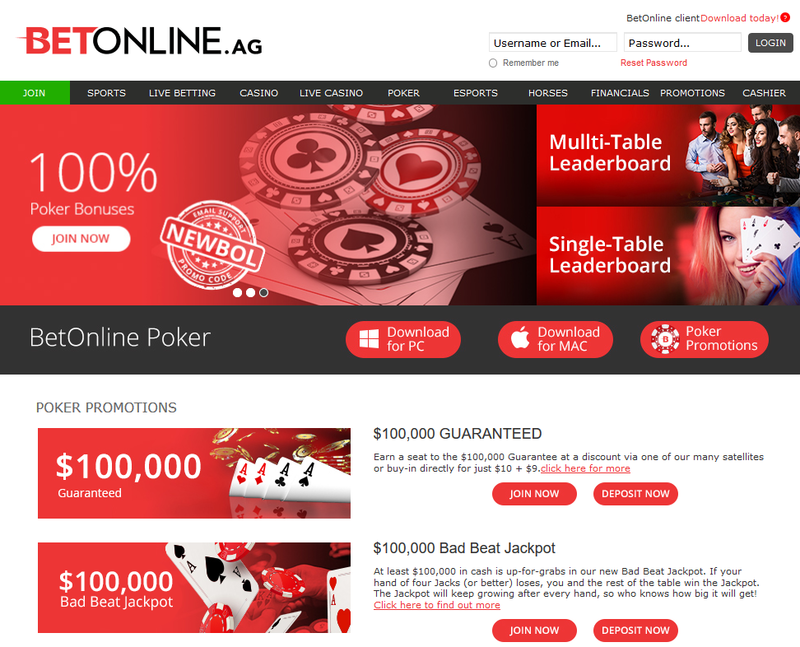 BetOnline.ag is a fantastic online betting option that offers a number of benefits that other houses don't. Online betting is immensely popular today, thanks to the multitude of sports and events to wager on, as well as the numerous dedicated gambling houses that offer odds and casino games to bettors. To be sure, one of the most difficult aspects of modern sports betting is selecting an online site that fits your personal wants and needs; the days of the physical bookie are all but finished. BetOnline.ag is a fantastic online betting option that offers a number of benefits that other houses don’t. The site has been rigorously tested for the purposes of this review, and hopefully these findings will convince you to trust BetOnline for your wagering needs. One of the most frustrating (and frequently inconvenient) aspects of online betting is depositing and withdrawing funds. BetOnline.ag makes the processes as simple and straightforward as possible. Deposits can be made in a matter of minutes through the site with any of the following methods: Bitcoin, Litecoin, Ethereum, Visa, MasterCard, Cashier’s Check, Money Order, Bank-Wire Transfer, and much more. All the effort that’s required on the bettor’s end are a few clicks and a short wait. Withdrawing funds is similarly easy, as the process can be completed with all the mentioned payment methods except credit and debit cards (as they cannot receive money). Best of all is that the website offers generous deposit bonuses to new members. It’s hard to not be satisfied with free money! BetOnline.ag boasts sports betting options for every type of gambler. Players can choose from an abundance of lines for NFL, MLS, NBA, and MLB games and events, college sports, Olympic sports, hockey, tennis, boxing, MMA, golf, darts, rugby, snooker, eSports, poker, and much more. Especially unique is the site’s financial betting function, which allows bettors to wager on the financial reports of major companies. BetOnline.ag is home to enough casino games to keep even the most experienced players entertained. A massive variety of slot machine, craps, roulette, poker, video poker, keno, lottery, and baccarat games are available to enjoy. Additionally, live casino games—comprised of actual cards, real-person dealers, and spots at physical tables—are also featured. The experiences created by these games rival those of physical casinos! Last but certainly not least, BetOnline.ag has a highly developed live betting platform. In a matter of seconds, bettors can place live, ever-changing wagers on sports games and events that’re unfolding in real-time. It should now be pretty clear why BetOnline.ag is so excellent; you’ve found a new, always-reliable bookie. Thanks for reading, good luck with your bets!